Creatine Monohydrate is considered the most effective performance nutrition supplement ever discovered. 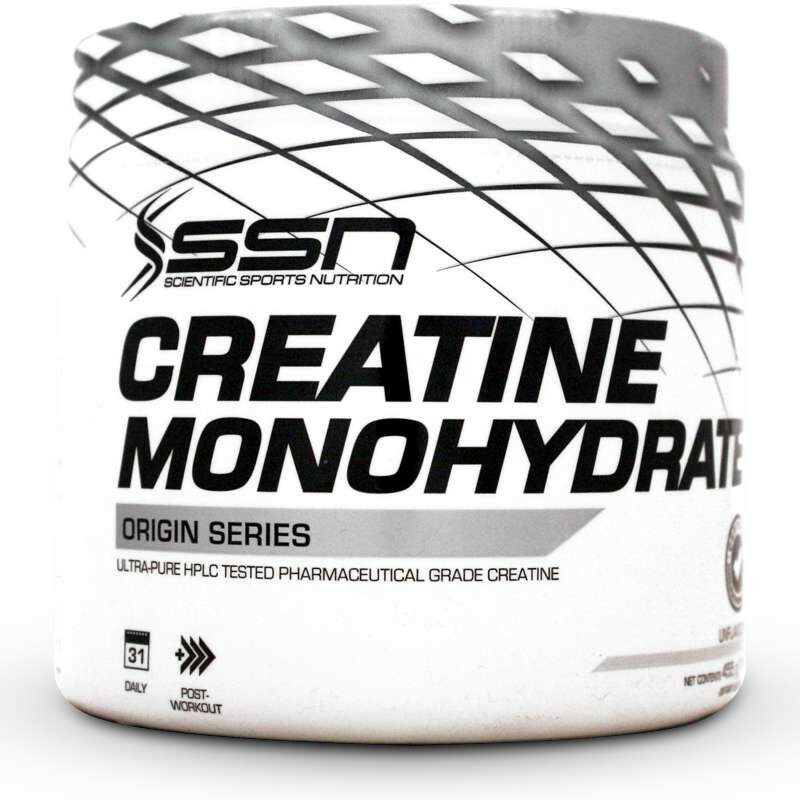 To maximise creatine’s lean muscle building effects, consume extra water every day and increase your daily protein intake by way of a high quality pure protein supplement such as SSN's 100 % Whey Protein. • Prepare one serving by mixing one rounded teaspoon (5 g) with at least 300ml of a suitable carbohydrate sports drink or grape juice. • For loading, take two to four servings daily, for 5 consecutive days. Take one of these servings immediately after training and the others evenly spaced during the day. • For maintenance, take one to two servings (5-10 g) daily, the most important serving being immediately post training, ideally mixed with a carbohydrate/protein shake. • Each serving should be followed by at least 250 ml (1 glass) of water. For best results, a minimum of 10 glasses of water should be consumed daily whilst supplementing with creatine.